Minister Robin Jones serves as a minster of First Baptist Church in Chillicothe, Ohio. She was raised in church and dedicated her life to Christ in her youth. On December 2004 she was licensed to preach the gospel of our Lord and Savior Jesus Christ. 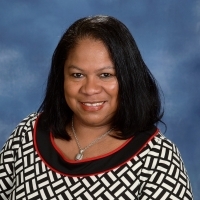 She holds the Bachelor of Science Degree in Nursing from Tuskegee University in Tuskegee Institute, Alabama; the Master of Nursing Degree in Family Nurse Practitioner from Michigan State University in Lansing, Michigan. Currently, she is pursuing the Master’s Degree in Divinity from United Theological Seminary in Dayton, Ohio. Minister Jones volunteers monthly proving free health care to members of Health Alliance of Ohio. Also, she is a member of: Women of Faith Community Service, Delta Sigma Theta, Sorority, Inc., Chi Eta Phi Sorority, Inc., Sigma Theta Tau International, Honor Society of Nursing and the NAACP. Among the gifts and talents in which God has blessed Minister Jones, none are more meaningful to her than sharing the good news of our Lord and Savior Jesus Christ. 16 For zGod so loved the world, that he agave his bonly begotten Son, that xwhosoever believeth in him should not perish, but have everlasting life.